Download from the Chrome Web Store. Download from the Amazon Appstore. 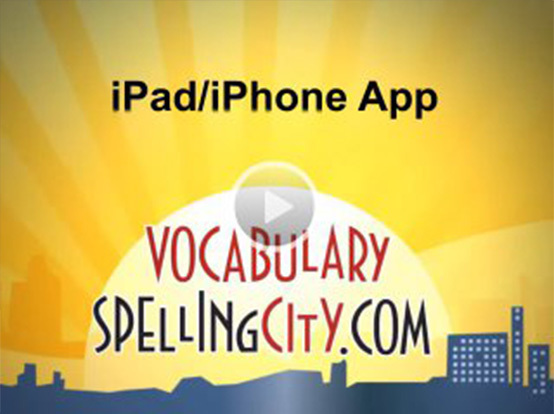 VocabularySpellingCity - At School, At Home and On the Go! 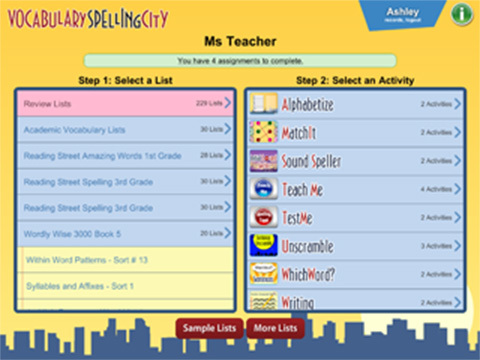 VocabularySpellingCity is game-based learning tool with a school-home connection! Students of VocabularySpellingCity Premium Members can log into their accounts and access their teachers' lists and assignments from virtually any device - desktop computers, laptop/notebook computers, tablets, iPads, iPhones, and Android phones - at school, at home and on the go! Version iOS 1.9.13 of the SpellingCity app includes an update for a keyboard orientation error experienced by users of iOS9.